We love a good wedding almost as much as we love good popcorn. So, when 30 Rock’s Liz Lemon said “We are registered at Popcorn Palace”, we were through the moon! Mazel tov, dummies! To celebrate Liz Lemon’s wedding to her gourmet hot dog entrepreneur boyfriend, Criss Chros, we’re offering a 30 Hour Wedding Special! Use promocode: 30ROCK and save 30% off our website*. Valid until Midnight (CT), Friday, 12/7/2012. * Promotion applies to consumer orders only and cannot be applied to previous purchases or with POP dollars. Not valid on fundraising, corporate, or wholesale orders. Offers cannot be combined, are not available on all products, and are subject to restrictions, limitations and blackout periods. 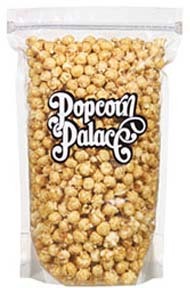 Every month, starting in March, Popcorn Palace will offer one of our delicious gourmet popcorn flavors for a special discount price, exclusive for our social media fans and followers. Keep your eye on Twitter and Facebook this week for our very first discount code on March’s flavor.